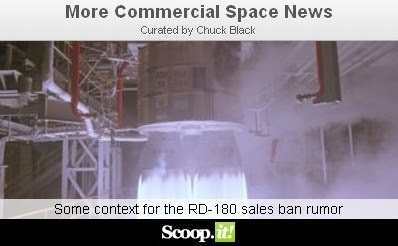 Want more commercial space news? There might be a solution. 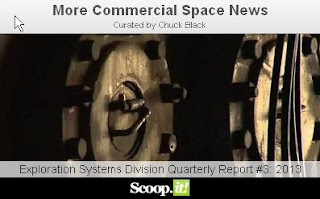 For those of us who hunger for more, it's worth noting that the Commercial Space blog also aggregates the best international stories on the web into the "More Commercial Space News" feed, which is updated on an ongoing basis, throughout the day. These posts are also promoted via the @acuriousguy twitter feed, in order to provide a comprehensive and easy to access overview of international commercial space activities. The big breaking story in the US this week is, of course, the possible refusal of the Russian government to allow further exports of the Russian RD-180 rocket engine, which is currently used for the first stage engines in the workhorse US Atlas-V rocket. These include the August 29th, 2013 Moonandback article "RD-180 Sales Ban Rumor," the August 28th, 2013 Space Travel article "Russian rocket engine export ban could halt US space program," and even the assumed original source of the rumour, the August 27th, 2013 Russia Today (RT) article "Russian rocket engine export ban could halt US space program." Certainly the situation is complex, both in Russia and in the US as transnational corporations like United Launch Alliance (ULA) and Aerojet Rocketdyne attempt to control access to the Russian engines and even discuss restarting the assembly line to build more. For background, check out the June 24th, 2013 blog post "Bride of RocketDyne!" As a counterpoint to the Russian rocket story, NASA has issued another report focused on the equipment being developed for future "beyond Earth" space missions. According to the August 27th, 2013 NASA Exploration Systems Division Quarterly Report, the "Orion, Space Launch System and Ground Systems Development and Operations programs continued to make progress towards sending humans beyond Earth's orb" which is all well and good just so long as no one looks closely at the July 30th, 2013 Space News article "NASA Defends Space Launch System against Charge It is draining the lifeblood of Space Program," which essentially says exactly the opposite. Only time will tell if either, neither or both of these news stories eventually end up being correct. Commercial space companies are also tracked in this feed. Sample articles include the August 29th, 2013 Parabolic Arc article "Tethers Unlimited Awarded NIAC Phase II Contract" focused on the recent $500,000 NASA award presented to a private firm with a new method to create space structures, the August 29th, 2013 press release from the European Space Agency (ESA) under the title "ESA Says 200 new start-ups launched at ESA incubators" and the August 27th, 2013 Parabolic Arc article "Space Tourism Startup SHIPinSPACE Receives $7.8 Million Investment." Of course, the More Commercial Space News feed also includes a great many article on Canadian efforts and activities that for one reason or another, haven't yet made their way into a regular blog post. 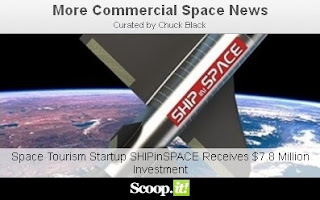 So to get the complete view, with many many more national and international stories, updates and links, check out More Commercial Space News by either clicking on the graphic below or else subscribing to the twitter feed at @acuriousguy. Last month, NASA and missile propulsion firm Aerojet Rocketdyne completed testing of the first rocket engine part made using 3D printing. On July 15th, a 3D-printed fuel injector assembly was successfully test-fired multiple times at the NASA Glenn Research Center in Cleveland. 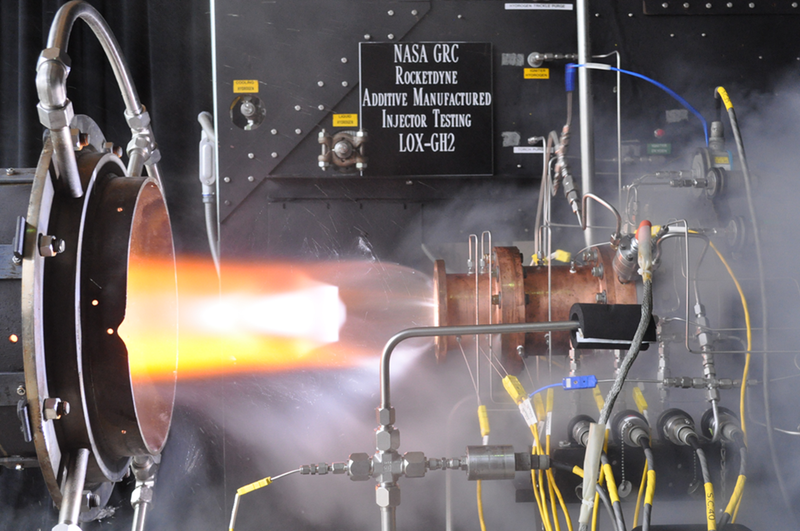 These test firings proved the effectiveness of 3D printing in the design, manufacture and testing of critical rocket engine components and may lead to more efficient manufacturing of rocket engines in general. Aerojet Rocketdyne (formed earlier this year when Aerojet and Pratt & Whitney Rocketdyne were merged) fabricated the liquid oxygen/hydrogen gas injector using an industrial-grade selective laser melting (SLM) 3D printer. SLM technology uses high-powered laser beams to melt and fuse fine metallic powders into three dimensional shapes. 3D printing’s key advantage is significant reduction in both production time and costs. Rocket engine parts are complex machined metal pieces requiring significant time and labour to produce. The fuel injector is one of the most expensive components of a rocket engine. This type of rocket fuel injector made with traditional metal casting/forging techniques would take over a year to produce. With SLM 3D printing, it can be done in less than four months---at a 70% lower cost. In aerospace, 3D printing has been used mainly in producing simple, non-critical components like brackets and structural frames. 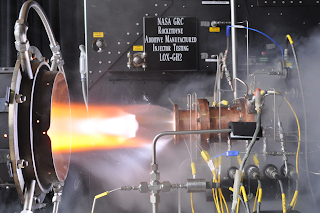 With this successful injector test, however, Aerojet can now set its sights on making a wider-variety of rocket parts. NASA foresees many applications for 3D printing technology in space, including the ‘printing’ of hand tools (saving on storage space and fuel), engine parts and even entire spacecraft. Significant steps in this direction are already being taken. NASA-funded start-up Made in Space Inc. is also planning to launch the world's first zero-gravity-capable 3D printer into space in June, 2014. Since 2010, Moffett Field, California-based Made in Space has tested a variety of 3D printing technologies on a series of microgravity flights through NASA's Flight Opportunities program. The company's current prototype uses fused deposition modeling (FDM), the technology on which most consumer-level 3D printers are based. In FDM, plastic filament is heated into a liquid and forced through a nozzle. The nozzle deposits the liquid plastic onto a build plate, building an object layer by layer. Made in Space’s 3D printer uses a mixture of ABS and more advanced space-qualified thermoplastics to build objects. The prototype has performed well in parabolic and suborbital test flights and is now ready for final testing aboard the International Space Station (ISS). SpaceX and Tesla Motors founder Elon Musk recently announced plans to put his own stylish flourish on 3D printing. On August 23rd, Musk announced via Twitter that he will unveil a 3D printer with a holographic, gesture-controlled interface and use it to print rocket parts out of titanium before an audience. Musk has stated that his inspiration is the now-iconic holographic interface used by superhero Tony Stark in the hit ‘Iron Man’ films. Whether among the stars or here on Earth, 3D printing technology is proof that the line between science fiction and science fact continues to blur. Two Falcon 9 engine arrangements. On the left, with a 3x3 rectangular or "tic-tac-toe" pattern is the original v 1.0 arrangement. 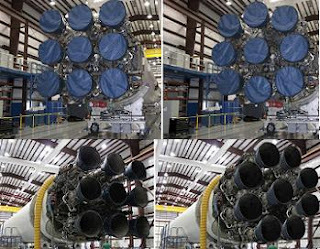 On the right is the upgraded v1.1 arrangement, which utilizes what SpaceX calls an "octaweb". Photo c/o NASA Spaceflight.com. Space Exploration Technologies (SpaceX) seems publicly committed to the announced September 5th, 2013 launch date for the Canadian Space Agency (CSA) Cascade Smallsat and Ionospheric Polar Explorer (CASSIOPE) from Vandenburg Air Force Base. Falcon 9 first stage with new struts in launch configuration. Photo c/o the Daily Cos. But there are also a series of important, non-trivial modifications and upgrades to the SpaceX Falcon 9 rocket which are expected to be tested out for the first time during this particular flight and lots of work remains before the launch can proceed. Chief among the upgrades are the replacement of Merlin 1-C engines with an equal number of substantially more powerful Merlin 1-D engines. These new engines boast an increased thrust (from 95,000 to 140,000 to lbf at sea level), the capability of throttling back and forth between 70-100 percent of overall power and, as described in the March 20th, 2013 NASA SpaceFlight.com article "Falcon 9 boost as Merlin 1D engine achieves major milestone," the use of improved manufacturing processes utilizing fewer parts and less labor to lower overall production costs. The new engines are also designed to be reused, which makes sense given that the internal structure layout of the latest Falcon 9 allows for the attachment of four landing struts, which should enable the first stage (with a little help from the new throttle control) to land under its own power after use, in much the same way as the SpaceX Grasshopper. It will be the first launch with the upgraded Falcon 9 V1.1. It will be the first launch with the new Merlin 1-D engines, the first time with the new circular arrangement of the engines on the 1st stage booster, the first launch with fairings (to protect the payload satellite) and the first Falcon 9 launch with a satellite (the aforementioned 800 pound CASSIOPE) as the primary payload. It will be the first launch at the new SpaceX Vandenberg launch facility, which has yet to be formally declared operational. It might also be the possible first test of a controlled return and hover above the ocean surface for the first stage booster. All in all, it's a nice way to finish off the summer, both for Canada and for SpaceX. Here's hoping it goes off on schedule. The SNC Dream Chaser space plane. Is this the true heir to the space shuttle? Graphic c/o SNC. A privately-developed mini space shuttle has successfully completed ground tests in California earlier this week as a run-up to its first flight test. On Aug 15th, the Sierra Nevada Corporation (SNC) Dream Chaser space plane, was pulled by a pickup truck across various runways, ramps, and hangars at the NASA Dryden Flight Research Center at Edwards Air Force Base. These taxi tow tests were done at speeds of 16, 32, 64 and 97 km/h to gauge the spacecraft's performance under landing and rollout conditions. In addition to Dream Chaser’s brakes, steering and landing gear, SNC engineers also monitored its flight computer and software, as well as instrumentation (i.e. guidance, navigation and control systems). These tests were the fourth in a series of taxi tow tests and will culminate in full flight tests this fall. Dream Chaser is a crewed suborbital/orbital spaceplane designed to carry up to seven people to and from low earth orbit, launching vertically atop a rocket and landing horizontally on conventional runways. As outlined in the August 15th, 2013 Planetary Society blog post "Dream Chaser mini-shuttle prepares for free flight tests," one unique feature of the new space plane is the nose landing gear, which uses a "skid strip" instead of wheels. Dream Chaser's predecessor? 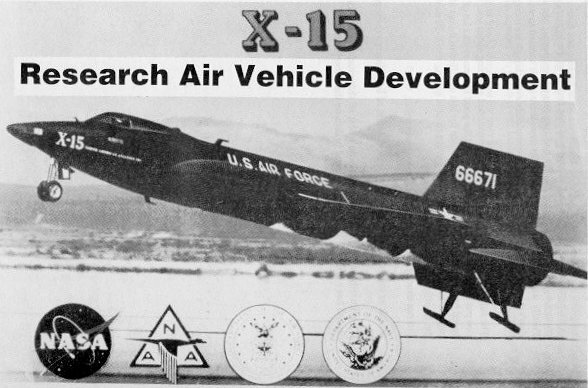 The North American X-15 suborbital space plane, which utilized rear (instead of front) skid strips. Of course, a variety of manned and unmanned missiles and even manned vehicles have operated using skids for landing gear. Cape Canaveral Air Force Station even has a runway named the "skid strip" in honor of the SN-62 Snark intercontinental cruise missile, which utilized skid landings in the late 50s and early 60s. The vehicle also incorporates a variety of other innovative features derived from lessons learned from the space shuttle program and other areas. A built-in crew escape system and autonomous flight capability. Dream Chaser mated with United Launch Alliance (ULA) Atlas V rocket. Graphic c/o SNC. Maneuvering thrusters that will use a non-explosive ethanol-based fuel, allowing the Dream Chaser (unlike the Space Shuttle) to be handled immediately after landing, reducing turnaround time and costs. A thermal protection system (TPS) consisting of heat-resistant tiles developed at NASA Ames Research Center that (in contrast to the Space Shuttle’s TPS) can be replaced en masse after several flights rather than tile-by-tile after each flight, further reducing turnaround time and costs. A propulsion system consisting of two hybrid rocket engines running on powdered rubber and nitrous oxide (aka laughing gas). These substances are both non-toxic and easily stored, making them safer than liquid rocket fuels. Unlike solid-fuel rockets, Dream Chaser's hybrid fuel system would allow the engine to stop and start repeatedly, and be throttleable. This hybrid system was originally developed by SNC for Scaled Composites’ SpaceShipOne, winner of the Ansari X-Prize in 2004. SNC is also developing a similar hybrid engine for Virgin Galactic's SpaceShipTwo. Revealing a Canadian connection, an onboard communications system developed by MacDonald, Dettwiler and Associates Ltd. of Richmond, BC. Dream Chaser is being developed as part of NASA’s Commercial Crew Development program (CCDev) to provide crew and cargo transport service to the International Space Station (ISS). Beyond the NASA CCDev program, SNC envisions other applications for Dream Chaser, including crew/cargo delivery to future private space stations, functioning as a short-term orbital research lab for government and commercial customers, and even orbital space tourism. 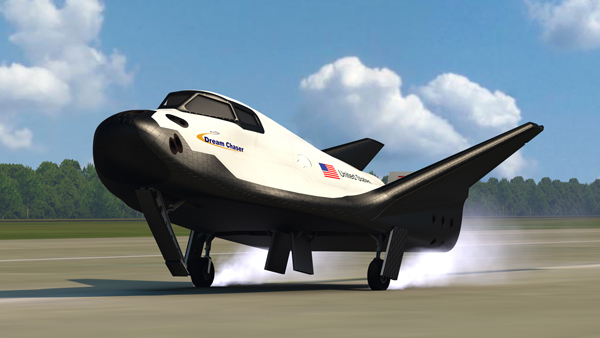 SNC’s Dream Chaser promises to be a nimbler, smarter successor to the space shuttle. It represents the best kind of technological advance; one that learns from and honours the past while being flexible enough for the future. The Mikoyan-Gurevich MIG-105. Another historical analogue for the current Dream Chaser, this manned test vehicle was conceived in response to the American X-20 Dyna-Soar military space project and may have been influenced by contemporary manned lifting body research being conducted by NASA. Photo c/o Wikipedia. Jobs, Jobs, Jobs in Space! Statistics from the June 3rd, 2010 article "You're no Rocket Scientist" which stated that "this celebrated job demands a lot of education and know-how and the pay isn't what you think." Photo c/o Baseline Magazine. According to a 2011 Aerospace Industries Association (AIA) position paper, the US is "not producing enough qualified workers to fill important jobs at aerospace companies and the shortfall will increase as retirements grow." The paper indicates that, "among our largest companies, 57 percent of the workforce is 45 or older, meaning that within 10 years well more than half of their employees will become retirement eligible. 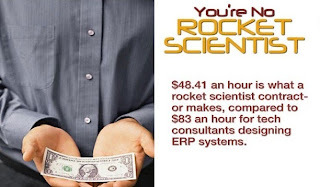 Fifteen percent of the aerospace engineering workforce will be eligible for retirement in 2012. Among our largest companies, 29.43 percent of the engineering workforce will be eligible to retire in 2016." All of which, while it might not seem like good news to the overall industry, is certainly good news to anyone looking to make a career as an astronaut or a rocket scientist, especially if they're willing to relocate. Those looking to work in the space industry might want to check out some of the sites listed below. The 15th Annual Aerospace and Defence Top 100 growing Companies of 2012 - What better place to start than with the biggest and fastest growing firms in this area. Produced jointly by top accounting firm PricewaterhousCoopers and online publication of record Flight International, the 15th annual Aerospace Top 100 report outlines the trends in the industry and ranks the top companies by revenues and profitability. Astronauts4Hire - A US based, 501(c)(3) non-profit formed in 2010 to recruit and train qualified scientists and engineers for the rigors of spaceflight. The organization conducts a range of activities related to commercial astronaut workforce development and train its members as professional astronaut candidates who can assist researchers, payload developers, and spaceflight providers with mission planning and operations support. The Canadian Auto Workers (CAW) - Although not the typical career path imagined by the average future astronaut wannabe, it's worth noting that Canada's largest private sector union also represents aerospace employees at Boeing Canada (Local 2169), Bombardier/ de Havilland (Local 112), Cascade Aerospace (Local 114), CMC Electronics, Magellan Aerospace/ Bristol (Local 3005) and Pratt and Whitney Canada (Local 510). The Canadian Space Agency (CSA) Career Page - Interesting background on CSA hiring policies, procedures and opportunities for students, fellowships and funding. The CSA is also home to the Canadian Space Directory, a listing of 100+ organizations directly involved in Canada's space industry. The European Space Agency (ESA) Career Page -Vacancies and useful career facts. HE Space - Denmark based, specialist supplier of manpower for space programs with offices in the Netherlands, Germany and the US. The firm also manages the Jobs in Space Linked-In group. The International Association of Machinists and Aerospace Workers (IAMAW) - Representing a variety of automotive and aerospace workers across Canada and around the world. Jobs in Space - The global space industry forum for posting vacancy notices and resumes. NASA Jobs - A public listing of available National Aeronautics and Space Administration (NASA) openings. The NewSpace Global listing of top 300 NewSpace companies - This list is divided up into three smaller lists covering the 100 most influential privately held newspace companies (the NSG 100), a second list covering 100 additional privately held newspace companies perceived as being "on the bubble" of growth (NSG OTB) plus a third list of top rated publicly traded space companies (the NSG PTC). A surprising number of companies on these three lists are Canadian and a surprising number of the rest have offices and employment opportunities in Canada. The Satellite Today Career Center - Focused on US based jobs in the commercial satellite industry. Includes a comprehensive satellite companies web directory. The SpaceRef Career Center - A new service hoping to leverage "the 425,000 unique readers who visit SpaceRef, NASA Watch, SpaceRef Business, SpaceRef Canada and the Astrobiology Web each month" and are also looking for employment. Space Careers - French based, English language site focused on "the top jobs and the best talents in the industry." 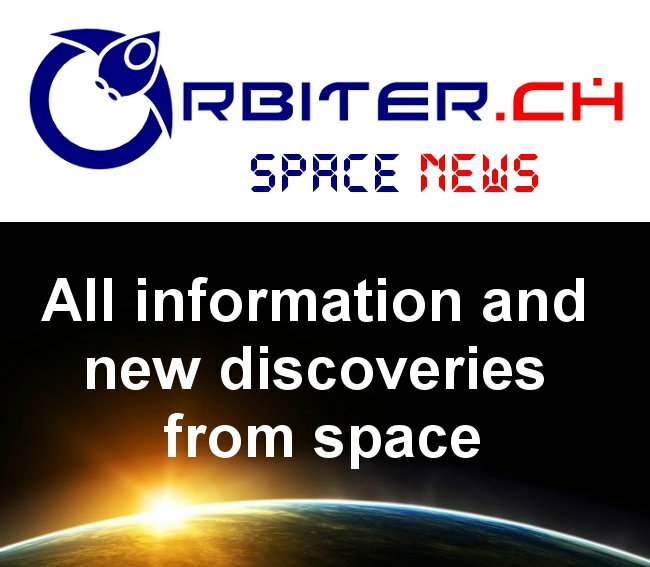 Contains a jobs center (where job hunters and recruiters register), a space industry directory, a news and resource section with space news RSS feeds and a LinkedIn page. Maintained by Spacelinks, a specialist staffing consultancy focused on the European space and defense industry. The Space Job Center - Czech Republic based employment service focused on the space industry founded in 2010 by "a group of professionals from different industries that transitioned to the space sector." The Space Telescope Science Institute (STSI) listing of Employment Opportunities - Located on the Johns Hopkins University Campus in Baltimore, Maryland, the STSI manages both the Hubble Space Telescope and its successor, the James Webb Space Telescope (JWST). They offer "the wonder of 21st century space exploration in a job that offers a competitive salary and generous benefits." The Wikipedia listing of government agencies engaged in space exploration - Categorized according to capabilities and including links to the listed agency's primary website. One stop shopping for those inclined towards government service. The Space Exploration Technologies (SpaceX) open positions page - The company that built the worlds first "commercial spacecraft" has dozens of job openings covering a wide range of expertise. Expect the industry pay rate to increase over the next few years as retirees open up positions needing to be replaced and the industry continues to grow. Ad Astra Approaching its "Colliers Moment"
Franklin Chang-Diaz. Photo c/o Ad Astra Rockets. 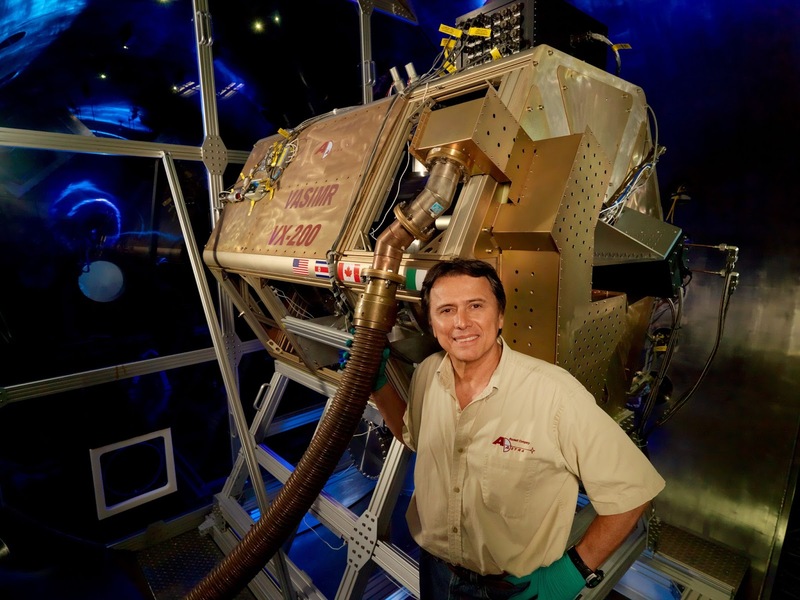 Ad Astra Rockets, the Houston-based company founded by a former NASA astronaut to develop a new type of space propulsion, is raising money via Kickstarter to make a documentary explaining the technology. "Our goal is to produce a full-length video, full of stunning animations that describe the way in which we intend to use our technology to transform space transportation," Franklin Chang-Diaz, retired NASA astronaut and founder of Ad Astra Rockets, said in the Houston-based firm’s Kickstarter video describing the planned documentary. Chang-Diaz holds a doctorate in plasma physics from the Massachusetts Institute of Technology (MIT) and became an astronaut in 1980, flying on seven NASA space shuttle missions. He founded Ad Astra in 2005 to work on the Variable Specific Impulse Magnetoplasma Rocket (VASIMIR). VASIMR is a high efficiency plasma drive with the interesting ability to "shift gears" by trading exhaust velocity for thrust and vice versa. For more details, check out the March 1995 NASA technical paper Rapid Mars Transit with Exhaust Modulated Plasma Propulsion and the 2004 MarsWeek Conference paper VASMIR: Express Flight to Mars. 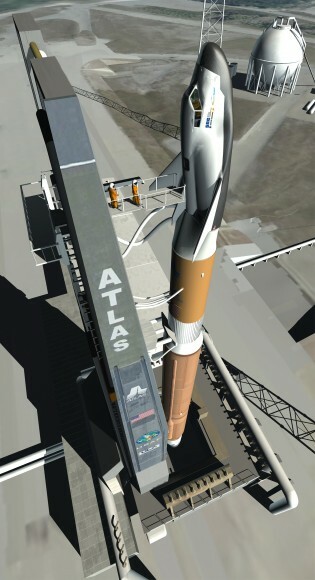 Graphic c/o Atomic Rockets website. The VASIMIR engine uses radio waves to ionize and heat a propellant into a plasma, which is then accelerated by magnetic fields to generate thrust. 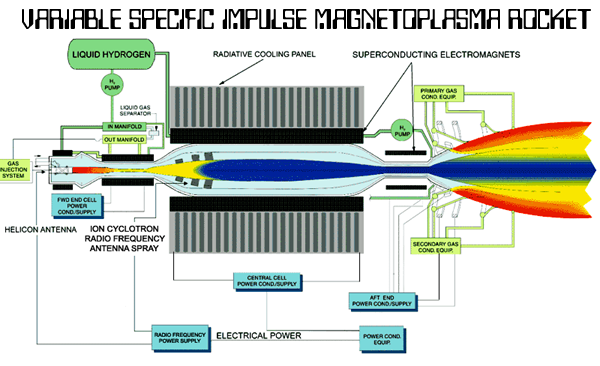 The plasma provides a constant and efficient thrust, building up speed over time. VASIMIR’s main advantage over traditional chemical rockets is efficiency: various studies have concluded that a VASIMIR engine would use up to 90% less fuel while carrying equivalent tonnage to chemical rockets. This efficiency could greatly reduce mission costs, significantly improving the economics of spaceflight. The technology does have disadvantages. VASIMIR’s low thrust-to-weight ratio and its need for a vacuum to operate make it unsuitable for launching payloads from Earth’s surface. VASIMIR is not without its critics, however. For the past few years, Chang-Diaz and VASIMIR have been engaged in a feud with Mars Society President Robert Zubrin (a first outlined in the August 1st, 2011 Space Review article ‘VASIMIR and a new war of the currents’). Zubrin, a nuclear & astronautical engineer, has attacked VASIMIR on various technical and ideological grounds. In his acidic July 11th, 2011 Spacenews article ‘The VASIMIR Hoax,’ Zubrin referred to VASIMIR as a “hyper drive” and “hoax” which “must be exposed”. 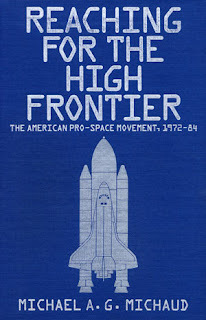 This book, outlining interesting lessons from the past, is also useful for understanding space advocacy issues today. It's freely available, in PDF format, from the National Space Society (NSS) website. Zubrin’s main criticisms of VASIMIR are that it is less efficient than other types of electric thrusters now in use, requiring unrealistically efficient power sources, and that electric propulsion is not necessary to reach Mars (and so its development should not be funded). To his credit, Chang-Diaz has kept his poise throughout, never stooping to Zubrinesque histrionics, but calmly addressing criticisms point-by-point an in this press release on the Facts About the VASIMR Engine and its Development, from the Ad Astra Rocket website. The VASIMIR feud seems to be a reflection not so much of the technology itself but rather of the weakness and ineffectuality of traditional space advocacy groups. We see the same tired parochialism; the endless squabbling over the thin slices of a shrinking pie rather than the coming together to grow the pie. For all its flaws, VASIMIR is a technology that has, clearly, captured the imagination (and dollars) of many. Ad Astra's Kickstarter campaign has seen impressive results. Over 33 days from July 9th - August 12th, 2013, Ad Astra Rockets surpassed its $46,000 USD goal, receiving over $76,000 in pledges as of early Monday morning (August 12th). With this new influx of funds, Chang-Diaz can now spread the word on VASIMIR to a larger audience. Kickstarter is to Chang-Diaz what Collier’s was to Von Braun. Winning the public’s hearts and wallets will achieve more than sectarianism ever will. In the 1950s, Collier's Magazine published a series of articles on how "Man will Conquer Space Soon," based on the plans of Willy Ley, Werner von Braun and others, which helped popularize the idea of space travel and led directly to the Apollo program. Muncy: ISS Processes "Too Strict" for Commercial Business! Space Frontier Foundation board member and founder Jim Muncy.. If space industry professionals can be called nerds and geeks, and policy professionals are “wonks,” then what does that make a space policy professional? A wonky nerd? A geeky wonk? Either way, it doesn’t sound very cool. 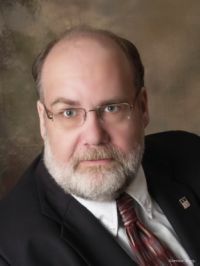 And Jim Muncy, of the space policy consultancy, Polispace, pretty much matches the description: someone totally wonky and into nerd/geekism, not quite cool enough to be in the ‘in’ crowd but very, very smart, and really popular amongst his own space people. During the recent NewSpace 2013 Conference hosted by the Space Frontier Foundation (SFF), I was able to snag some time to interview Muncy, and learn more about him. He was one of the three co-founders of the SFF (along with space activist Rick Tumlinson and current SFF board chairman Bob Werb), when 25 years ago, they decided that it was going to be all about how to make space settlement happen. In essence, he wanted to create a positive and hopeful future in space for our country and our species. He still wants to do that, and he told me that his life’s mission is to “accelerate the human breakout into space.” He does this by helping space companies create strategies to ‘not swim uphill all the way,” which means he mitigates some of the risk factors inherent in this industry. Muncy said he helps companies avoid problems of barriers by what he called the “forces of darkness,” presumably in reference to the regulatory issues being faced right now. Jim Muncy (left) with CASIS Chief Operating Officer Duane Ratliffe, Dr. Ioana Cozmuta from NASA Ames, and Commercial Spaceflight Federation President Michael Lopez-Alegria at a panel discussion during the NewSpace 2013 Conference in Silicon Valley, CA from July 25th - 27th. During the discussion, one person in the audience became visibly frustrated over having had an idea for a commercial activity to test aboard the ISS and money to back it, but no access to CASIS because the idea was considered not relevant. Muncy referred to past examples of rock concerts or other artistic endeavors. Photo c/o Allison Rae Hannigan. As an example of a regulatory barrier, Muncy discussed the International Space Station (ISS) and how safety issues have prevented companies from being able to demonstrate the capabilities needed for future voyages to the Moon, Mars, asteroids, and beyond. He sees the ISS is as a test bed to better explore space, and if businesses could be allowed to do more creative tests of enabling technologies, then they can mitigate risks to their business plans sooner rather than later, closer to Earth rather than farther away. For instance, a process for storing and transferring cryogenic propellants will need to be worked out on orbit as part of some of the proposed endeavors such as going to Mars or the asteroids. Current NASA safety review processes make attaching tanks of propellant to the ISS too costly and prohibitive. Yet, the capability promises even more fuel on orbit so that companies can do more complex and safer operations in space. 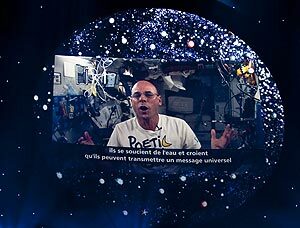 Canadian space tourist Guy Laliberté aboard the ISS in October, 2009, introduced various acts which included U2, Shakira and Peter Gabriel as part of the "Moving Stars and Earth for Water" concert. Retired Canadian Space Agency astronaut Chris Hadfield also organized concerts while aboard the ISS. During the session he moderated at the conference, “International Space Station on a Grander Scale: Probing Our Way Forward”, Muncy referred to the current space business and commerce environment as being designed more by engineers than by people who understand economics. Specifically in reference to ISS utilization, Muncy told me that the ISS was not really set up for research, no matter what NASA might state publicly. He said that if we really cared about maximizing research utilization and benefits, we would try to make the ISS the most effective and foremost laboratory available. The reality, Muncy told me, is that ISS is “first and foremost” a human spaceflight platform, with research in second place. Muncy used the relatively new, quasi-private entity, the Center for the Advancement of Science in Space (CASIS) as an example of how space research is not being effectively promoted as a potentially commercial endeavor for the ISS. CASIS was set up to “maximize” ISS utilization, but Muncy referred to the CASIS business model as “screwy” and said that “NASA must give it a way to charge for some parts of it.” He said that a better way would be to have a more hybrid model to help pay the way, and he wondered how CASIS can motivate itself if they can’t charge for it. Muncy gets very ‘geeky’ with the technology he’s describing, but all he’s saying is that the processes in place now for the ISS are too strict for commercial businesses to be allowed to implement sensible development programs for future space enterprises. This is a barrier to entry for entrepreneurs looking to build viable business plans and seek investment. He ended the conversation with the advice that we need to “force NASA and the ISS into a broader context as a system, rather than a project.” And Jim Muncy is the one in the front lines, working with NASA and the culture in Washington, D.C., trying to help NewSpace companies be able to get up that hill a little easier. Allison Rae Hannigan, is an impassioned space industry specialist focused on development opportunities, marketing, communications and business related to microgravity research. She is also a free-lance consultant who has helped set up and manage email marketing campaigns, newsletters, and customer relationship management applications. She can be reached at AstroAllie5@gmail.com. 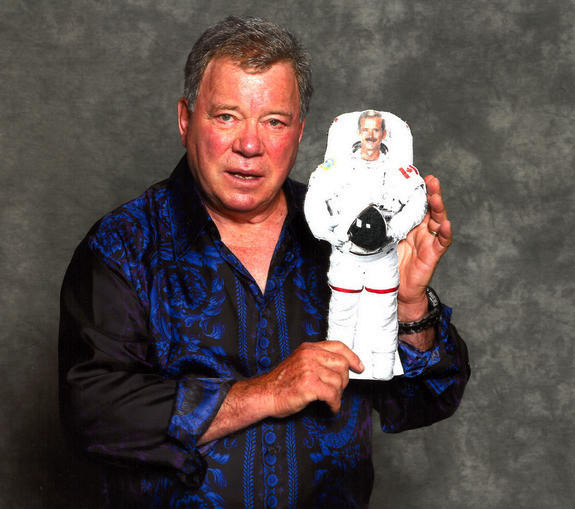 Star Trek actor William Shatner with an image of astronaut Chris Hadfield. The actor spoke with the astronaut on February 7th, but "appeared to have no enthusiasm for the project," according to Blacklock's Reporter. The summer "silly season," typified as a period during the latter half of the summer when the real news-makers are on vacation and less important, frivolous stories can gain traction and be exposed to a wider audience, is well and truly underway. Blacklock’s Reporter, a daily online-only publication based in Ottawa that covers parliamentary and departmental affairs, has accused retired Canadian Space Agency (CSA) astronaut Chris Hadfield of having "had ghostwriters" to support social media activities during his recent trip to the International Space Station (ISS). The claim has been picked up by others, such as the August 4th, 2013 TVA Nouvelles article "Le fils de Chris Hadfield prend sa défense" and the August 5th Sun News article "Hadfield's son denies space dad had Twitter ghostwriter." The original July 8th, 2013 Blacklock's post, titled "Spaceman had Ghostwriters," only gained traction after it was included in the August 5th, 2013 issue of Blacklock's Reporter. It referenced documents received under the Federal government Access to Information Act and at least one "on the record" interview with CSA communications manager Anna Kapiniari to bolster the point that "Hadfield was directed by communications staff as he ate spinach, clipped his nails and invoked Star Trek at the International Space Station." "Wheeeeee...." Photo c/o Kibo Robot Project. 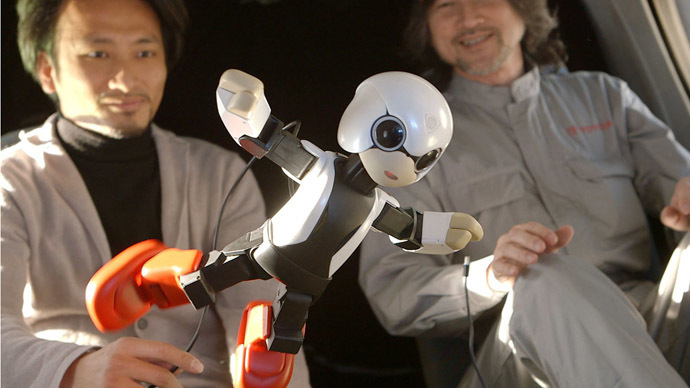 As outlined in the August 4th, 2013 Russia Today article "Robohope: Talking robot sent to ISS to ‘get along’ with humans," a small, 34 centimeter (13 inch) android resembling the classic manga character Astro Boy, has been sent to the International Space Station (ISS) aboard the latest Japanese HTV-4 cargo resupply mission, in what the article called "a historic attempt to befriend robots and humans." Jointly designed by the University of Tokyo, Toyota Motor Corp and Dentsu Inc. to speak Japanese, recognize voice and emotions and even "learn," its main conversation partner will be Japanese astronaut Koichi Wakata, scheduled to arrive for his second ISS mission in November 2013. Dōmo arigatō, Mr. Roboto. As outlined in the August 2nd, 2013 NBC News Science article "Applicants for one-way trip to Mars to descend on Washington, DC," while it's theoretically possible that there were indeed a "million Martians" hidden around the periphery of the weekend event organized by Mars One, a non-profit organization promoting a permanent human colony on Mars, it's also highly unlikely that there was anywhere near that many humans. The event was organized to kick off the US promotional efforts for what is essentially a television program about people who would like to go to Mars, although the promoters are insisting that actual trips to the red planet are being organized. The organizers estimate the cost of landing the first four settlers will be about $6Bln USD and plans to fund the costs by selling advertising for a reality TV program that would document the mission's progress, from astronaut selection through the settlers' first few years on Mars. In his 1954 science fiction novella "Sucker Bait," author Issac Asimov postulated the need for a "synthesist," or academic generalist able to correlate apparently unrelated facts from different areas to draw useful conclusions and avoid the limitations of narrow overspecialization. Of course, Asimov wasn't alone among science fiction writers with this concept. 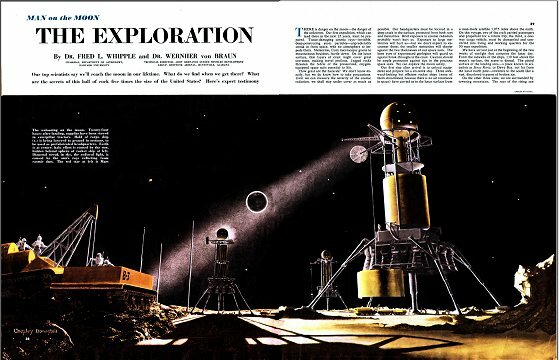 There were synthesists in John Brunner's "Stand on Zanzibar," synthesists in James Hogan's "Inherit the Stars" and "nexialists" in A. E. van Vogt's "Voyage of the Space Beagle." Reality also mirrors this pattern, at least if you're an entrepreneur (perhaps the very definition of generalist) in the Canadian space industry. Here are some of the organizations you'll likely come across. The Aerospace Industries Association of Canada (AIAC) – A not-for-profit organization advocating on aerospace policy issues that have a direct impact on aerospace companies and aerospace jobs in Canada. Heavily involved in the November 2012 Aerospace Review, the second volume of which was focused almost entirely on the Canadian space industry. Ex-Canadian Space Agency (CSA) astronaut Chris Hadfield will be speaking at the upcoming 2013 AIAC Aerospace Summit, in Ottawa from October 16th - 17th. The Alliance for Commercialization of Canadian Technologies (ACCT) – An advocacy group for technology transfer and commercialization. Membership includes "more than 110 academic-based research organizations including universities, hospitals, colleges and polytechnics" according to the website. The organization possesses useful connections with a variety of mostly US based intellectual property and venture funding organizations. The Canadian Advanced Technology Alliance (CATA Alliance) – The largest hi-tech association in Canada. Originally focused on software and telecommunications, CATA has recently partnered with CGI to move into the healthcare market. The Canadian Aeronautics and Space Institute (CASI) – A nonprofit technical organization for aeronautics, space and remote sensing. Host for a variety of annual events including the upcoming 65th International Astronautics Congress (IAC), which will be held in Toronto from September 29th - October 3rd. The Canadian Association for the Advancement of Science (CAAS) - Established to encourage, recognize and promote the values and excitement of science and engineering, and to enhance the links between our educational system, industrial base and the wider community. A multidisciplinary organization with an open membership to everyone regardless of age, race or educational background. The Canadian Association of Defense and Security Industries (CADSI) – The “voice” the Canadian defense and security industries and organizers of the annual CANSEC trade shows. The Canadian Association of Rocketry listing of affiliated organizations - A self-supporting, non-profit organization whose sole purpose is to promote development of amateur rocketry as a recognized sport and worthwhile activity. The Canadian Association of Science Centres - An organization promoting and encouraging public involvement with Canadian public science centres and the organizations needed to support them. The Canadian Astronomical Society – Founded in 1971 and incorporated in 1983 as a society of professional astronomers devoted to the promotion and advancement of knowledge of the universe through research and education. Membership is open to persons with a professional involvement with these goals in astronomy and the related sciences. The Canadian Foundation for the International Space University (CFISU) – The charitable organization promoting the International Space University (ISU) in Canada. The Canadian Science Policy Centre - Organizers of the yearly Canadian Science Policy Conference. The Canadian Space Society (CSS) – A non-profit corporation promoting Canadian space activities. Organizes the annual Canadian Space Summit. Canadian Solar Industries Association (CanSIA) - An industry lobby group representing 650 solar energy groups throughout Canada. CANEUS – A non-profit organization fostering the development of Micro and Nano Technologies (MNT). The Centre for Commercialization of Research - A member of the International Commercialization Alliance (ICA) focused on commercializing research from public institutions. The Centre for Spatial Law and Policy - Focused on legal and policy issues associated with geo-spatial data and technology. Engineers Canada - The national organization of the 12 provincial and territorial associations that regulate the profession of engineering in Canada and license the country's more than 260,000 members of the engineering profession. Friends of the CRC – An association of alumni of the Communications Research Centre (CRC), the government department responsible for most of Canada’s early satellite launches. Provides articles on early Canadian efforts by some of the people who were actually there. The Geological Association of Canada - A national geoscience society, publisher and distributor of geoscience books and journals. The Geomatics Industry Association of Canada (GIAC) – Canada’s premier source of information on geomatics, the discipline of gathering, storing, processing, and delivering geographic or spatially referenced information. Mitacs – A national, not-for-profit research organization, developing the next generation of Canadian innovators. Polytechnics Canada - The "voice of leading research-intensive, publicly funded colleges and institutes of technology." Strong advocate for moving some of the government money focused on R&D out of universities and into colleges and trade schools. The Royal Astronomical Society of Canada - 4,000 members, including about 500 "unattached" members from remote parts of Canada and around the world and strong chapters in Vancouver and 28 other centres across the country. The York Technology Alliance - Typical of efforts across Canada (although perhaps more successful), this association acts as a centre point of the technology cluster for York Region and the Greater Toronto Area. Asimov didn't just write one story on the perils of scientific overspecialization. Others include "The Dead Past" and "Profession." Over time, he would even begin to practice what he preached, making himself into a professional generalist by writing popular science books on a number of different fields along with the "The Intelligent Man's Guide to Science," an overview of the topic as a whole.